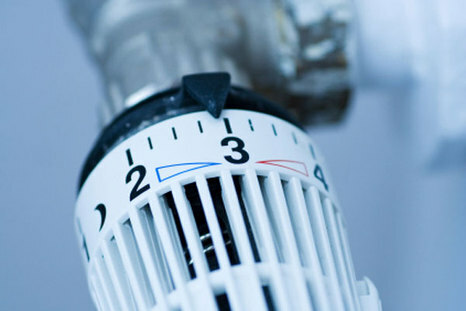 Question: How do you decide which type of central heating installation is the right one for you? 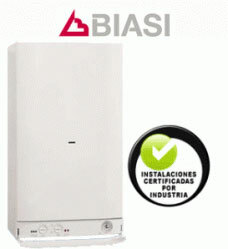 For convenience, with or without domestic hot water, you may want to think about oil-fired central heating. This incorporates a floor standing oil boiler, and a separate 1000 litre oil tank (if needed, these can both go outside, and we can build you a casita for the boiler. The oil tank can stand open to the elements, as it is twin lined). This system is also programmable and comes with a remote control. Prices of oil at present are around 91c per litre if you order 1000 litres. Delivery drivers don't generally like to deliver less than 600 litres, and the less you order, the more you pay per litre. The price of oil fluctuates up and down. The lowest we have seen it in recent years is 57c per litre and the highest is 120c per litre. The cost of a gas-fired central heating installation is pretty much on par with oil, although, in addition, you also have to allow for gas bottles, which are supplied by Repsol. This installation makes use of a wall mounted gas combi boiler (hot water as standard, not an optional extra on this one) with a bank of a minimum of six gas bottles outside. If they are small bottles, you would also require a small casita for them to go in. If they were large bottles, you would require either a lockable cage or a purpose built casita with lockable doors and adequate ventilation. We can supply you with any casita housing you may need. This system is also fully programmable and comes with a remote control. If you want the cheapest possible installation to supply you with central heating only, and you are fit and well (for carrying logs!) then you may want to think about solid fuel central heating. 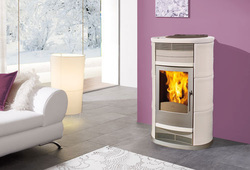 This would incorporate a woodburner or wood burning fire insert, in your lounge, for example, with a back boiler to supply your central heating system. The only electricity required for this system is enough to power the circulating pump and a wall mounted thermostat. Examples of the woodburners we use and recommend can be found on the EdilKamin website. This option is the most expensive to install, but the cheapest to run. This makes use of a free standing pellet burner with back boiler to supply your central heating system. 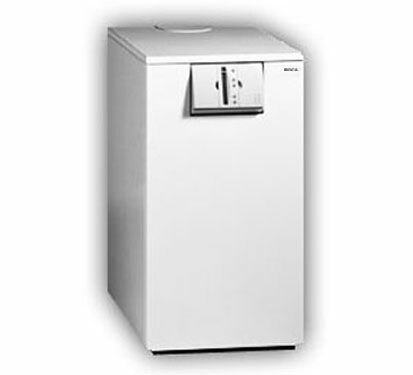 This type of system is programmable and some models come with remote controls. The pellets are easy to deal with, as although they come in 15kg sacks, they can be emptied into smaller vessels for carrying if needed (for those with mobility or strength issues). 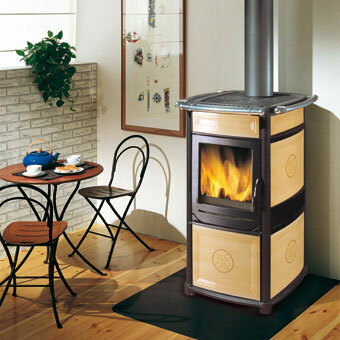 The fires themselves are easy to keep clean, and produce less soot/ dirt than a standard wood burner. However, they do require a constant electric supply in order to function, so for those with frequent fluctuations in the power potencia or with frequent power cuts, this would not be the best option. Pellet burners for central heating use anywhere between 0.8kg and 5.7kg per hour, depending upon the size of the installation and the heat temperature setting used. Pellets are currently priced between 4,50€ and 5€ per sack for 13-15kg sacks. If you would like to see the types of pellet burners available for central heating, the ones we use and recommend are made by EdilKamin. 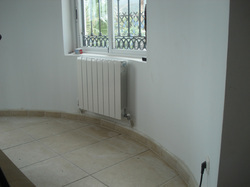 With regards to heat emitters, you can go for standard radiators. The ones we use most often are aluminium cast sectional radiators, which can be made up to any size, and can be added to at a later date if needed. 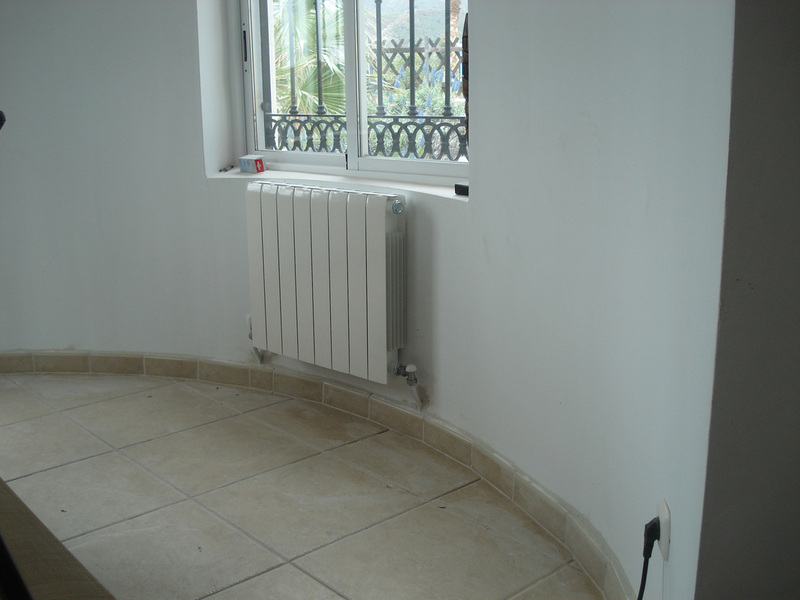 Alternatively, you could consider under floor heating or ThermaSkirt heating, although these two options are considerably more expensive than a standard radiator installation. On all of our installations, where possible pipework is concealed. 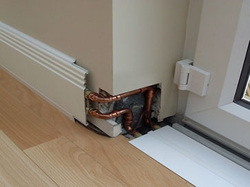 Where this is not possible, or in the less important areas of the house, pipework is run discreetly at low level using aluminium-lined white plastic pipe, knowns as Multitubo. our engineer can advise you once he has spoken with you and seen your property.